Hope for an epileptic boy, 12, 'fighting for life' as Home Office sends medicinal cannabis oil seized from his mother at Heathrow to his hospital. 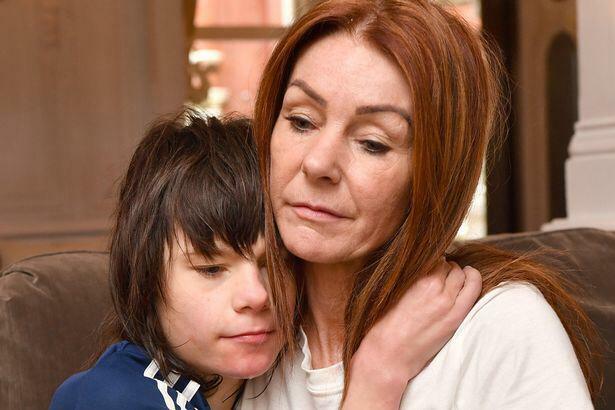 Billy Caldwell, 12, had traveled to Canada with his mother, Charlotte, to get the cannabis oil upon hearing Billy’s doctor was ordered to stop prescribing it. Customs officials confiscated the oil upon their arrival back in London. The boy was hospitalized on Friday, suffering several seizures. His case has stirred debate on the medicinal use of cannabis. Politicians from different parties are backing the family and campaigners are calling for changes to the law. Charlotte Caldwell, who says Billy was free of seizures when he was using the cannabis oil, made a statement to reporters outside Chelsea and Westminster Hospital, where Billy was being treated. She called for the law to be changed. “No other family should have to go through this sort of ordeal, traveling halfway around the world to get medication which should be freely available to our desperately ill children,” she said. Her son suffers from intractable epilepsy which means his horrific seizures can last for hours, and he must be pumped with medicine to stop them. Ms. Caldwell previously told MailOnline: 'Billy's seizures are silent. I call them the silent killers. 'He has status epilepsy which means he can't come round from the seizure on his own, he needs medicine and oxygen because he starts turning blue. One seizure can kill him. If it doesn't work I have to call 999. 'Our house is 50 minutes from the hospital and they begin working on him in the back of the ambulance. 'When we arrive I can't go in and I have to sit outside while they give him medicine to try and bring him back. 'The nurses are so lovely, they come and give me updates, and they tell me 'we don't know if we'll get him back this time'. 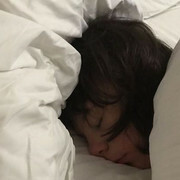 Billy became the first person to receive an NHS prescription for cannabis oil containing Tetrahydrocannabinol (THC) in 2017 after it was proven to dramatically reduce his seizures from as many as 100 per day. He was first given the medical marijuana in Los Angeles where his mother Charlotte Caldwell took him for treatment a year ago. The Home Office had previously said that while it was sympathetic to the child’s plight, it had a duty to stop banned substances from entering Britain. Under British law, cannabis is listed as a schedule 1 drug, meaning that it is not recognized as having a therapeutic value. Schedule 1 drugs can be used for research purposes and clinical trials, but only under a Home Office license. The Caldwell family, who normally live in Northern Ireland, have received support from several members of parliament from different political parties, including Dan Poulter of the ruling Conservative Party. Britain’s interior minister used an exceptional power on Saturday to release medicinal cannabis oil. The Home Office has now agreed to release medicinal cannabis it confiscated from the mother. The less the man in the street knows about how laws and sausages are made, the better he will sleep at night. I find it horrifying that we have to fight this hard to provide for the well being of our families. Legalize this already, and move on. It clearly has medicinal value. Keep up the great work of exposing all that is right and wrong in this world Lexy. Its It's ridiculous that these kind of things get bogged down in politcal red tape! Its always another comity. Get it done already. You were LIED TO about marijuana. IT IS A MIRACLE DRUG! Seizures are just one of MANY health benefits. Including (PAIN MANAGEMENT). They know this… That's why the USA patented the plant in '69 & declared it as a part of their "War on drugs"… So that the pharmaceutical companies in cahoots w/the FDA & our congress could sell us their man made crap at horrendous prices. GROW YOUR OWN will cut medical costs as a whole, I believe, in HALF (at least). Damn them for keeping this medicine from ANYONE! STOP TAKING THOSE PILLS… THEY ARE SYNTHETIC & CAN & WILL KILL YOU! Lexy, thanks for reporting this issue. It seems the only way we ever get anything done has to come from the grass roots. Governments, left to their own devices, will rarely do the right thing!!! I agree with everything that DA No. 28857 said. After watching this I need some Indica to calm down. How many people are deprived of help with this medicine because of greed and ignorance. In the wild, deer, hogs, and other wild animals will walk up to growing marijuana plants, and eat them. It's how awful how cannabis and marijuana are legalized for use in some states and they aren't legalized medical use in others. If cannabis can alleviate someone's suffering and pain then why not legalize it for such a purpose. A person who is sick taking cannabis is much better than a well retarded who takes it and add more to the criminal records in society.